A microservice architecture provides benefits in the areas of service isolation and deployment as well as independent scalability. These benefits lead to more rapid release cycles and better use of available resources. 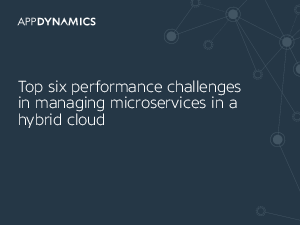 But a microservice architecture also presents a host of new challenges in both deployment as well as performance management. The benefits to microservices far outweigh their challenges and, by identifying them early, you can plan for and ensure that your adoption of a microservices architecture goes smoothly.